The availability of high quality analysis or reporting solutions can be one of the most effective tools available to organisation management teams. Ineffective solutions result in lost time, wasted effort and poor quality decisions. We have extensive experience in working with clients to implement effective data gathering, reporting and analysis tools. Please see the GMIT and SIA case studies for relevant project work or contact us to discuss your requirement. Metalogic’s Business Intelligence and Analytics solutions enable you to implement a data analysis platform that enables you to gather, collate and interrogate you enterprise data so as to facilitate effective insight. 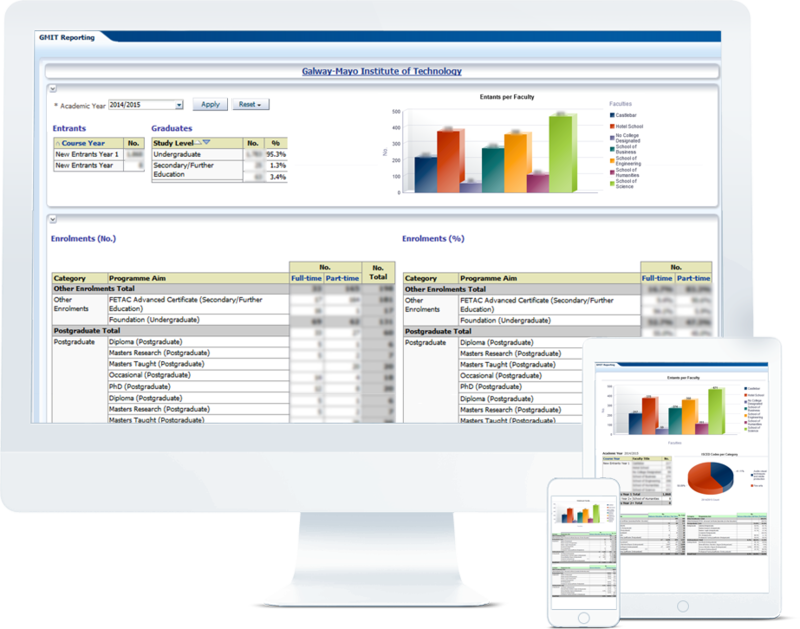 Metalogic’s Enterprise Applications Solutions help your organisation to design, devlelop and implement bespoke enterprise software systems that enable you to capture the data required to effectively manage your business. Big Data, Data Mining and Advanced Analytics. Data consolidation within an Enterprise Data Model. Responsive out to mobile devices. GMIT - An Oracle Business Intelligence based solution which enables the Galway Mayo Institute of Technology to gain into its students population retention and progression statistics.